U.S. 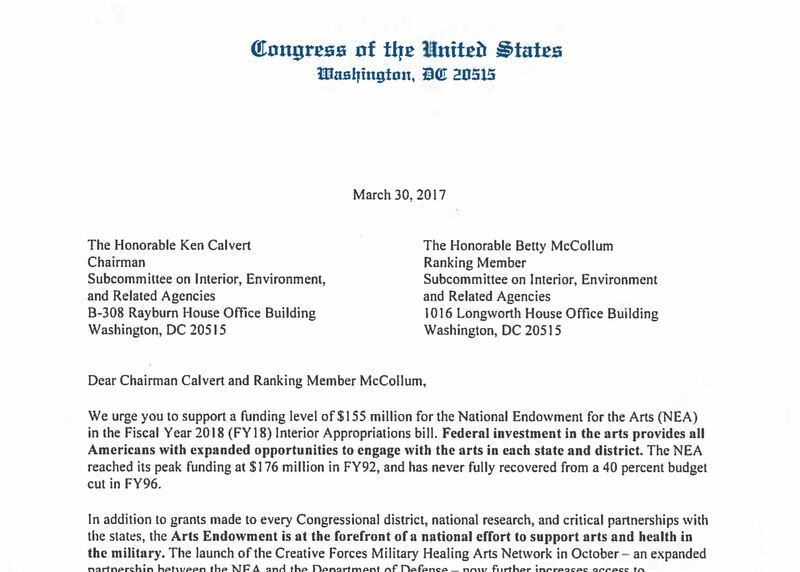 Representatives David Cicilline (RI-01) and Jim Langevin (RI-02) have signed onto a letter to the Chairman and Ranking Member of the House Appropriations Committee Subcommittee on the Interior, urging them to increase funding for the National Endowment for the Arts to $155 million, an increase of about $7 million from its current level of about $148 million. More than 150 Members of Congress have signed onto the letter.